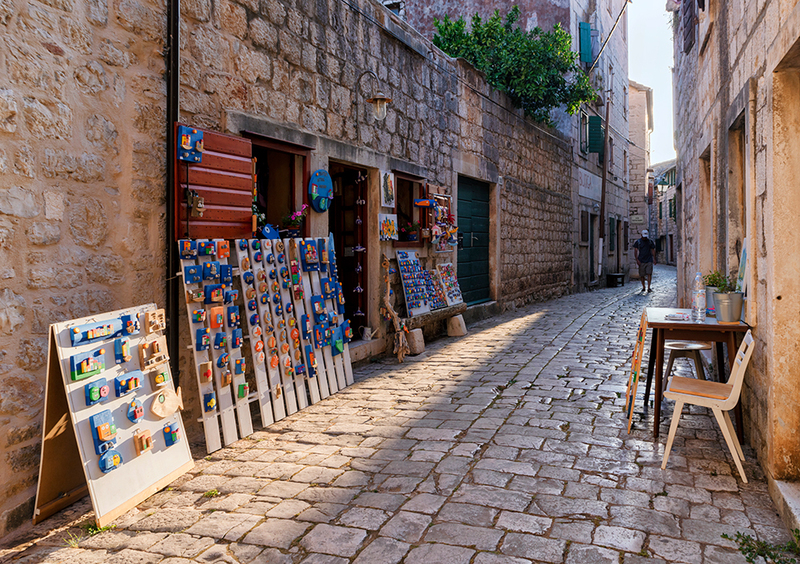 Stari Grad, as with other Mediterranean towns, consists of an old town centre and a newer part of the town. 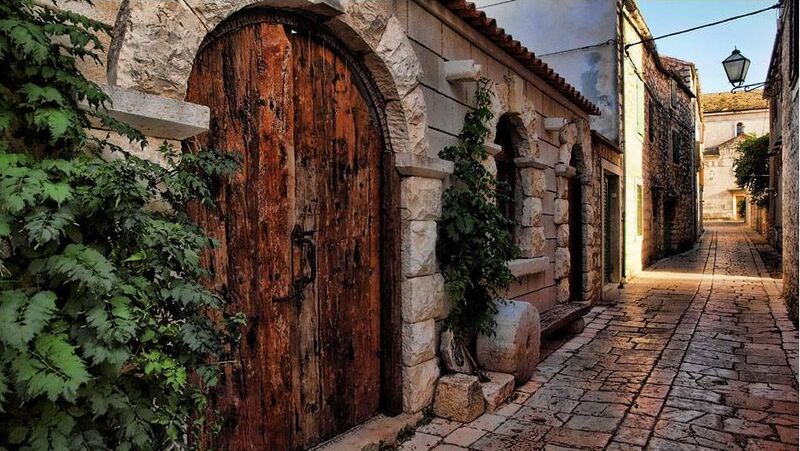 Should you want to experience the autochthonous Mediterranean setting of the stone houses found in the streets of the old part of town, it offers a wide range of reconstructed stone houses, some of which are more than 200 years old, and which have now been converted into rental houses. 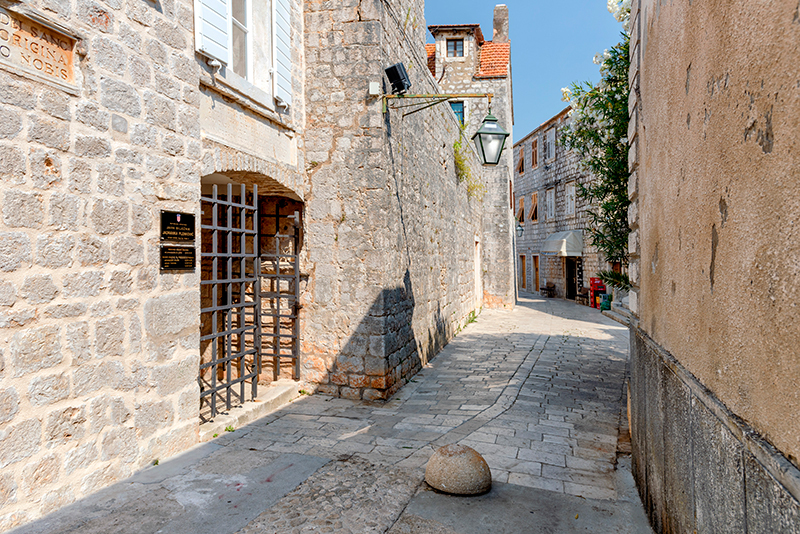 Staying in the old part of Stari Grad will enable you to experience the Mediterranean as it was once, in every sense of the word. 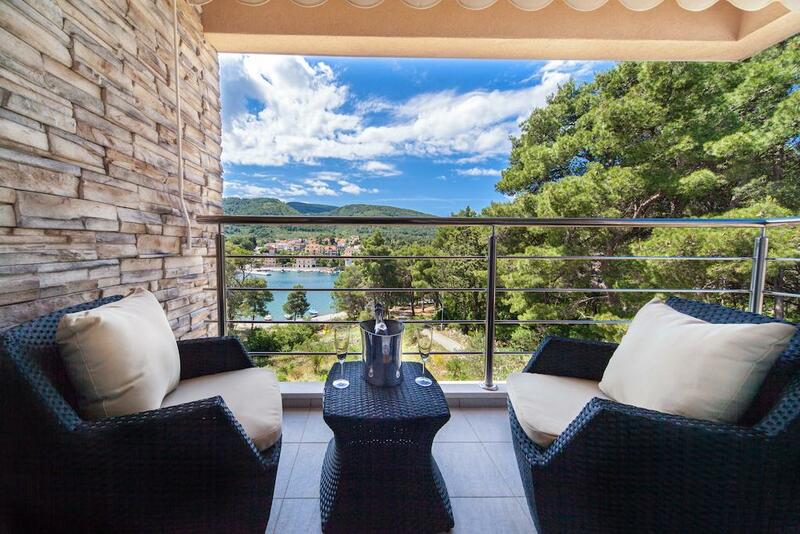 If you are more attracted by modern accommodation, we would recommend you choose apartments and guest houses is the new part of Stari Grad, in the Priko area, situated in the northern part of Stari Grad bay. 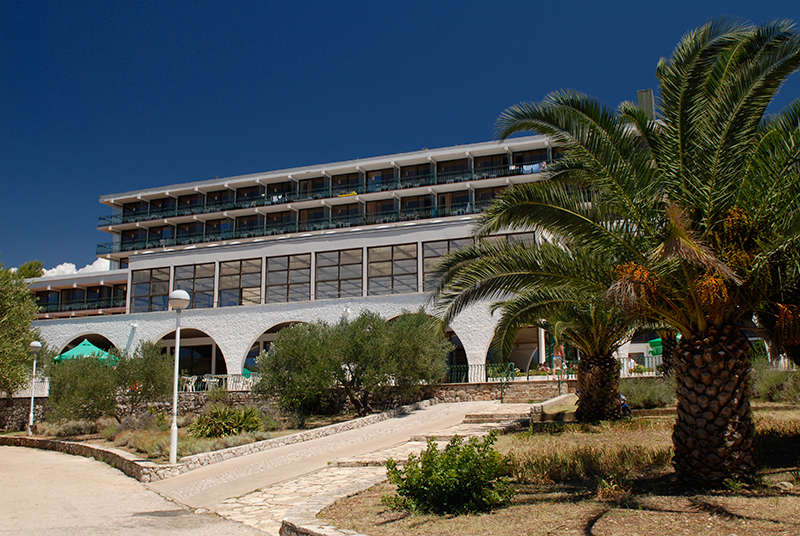 Here, you can also find the Helios Faros d.d. 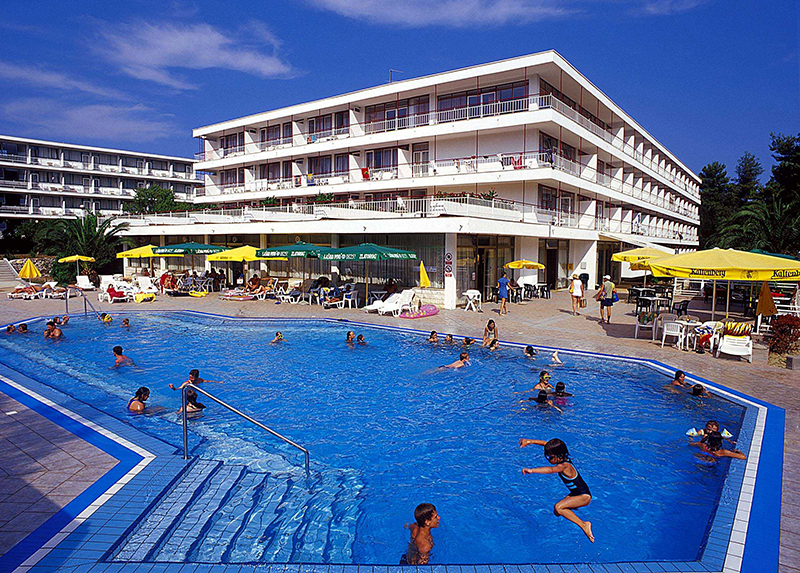 hotel complex which consists of three hotels, an apartment village and the Trim bungalow village. 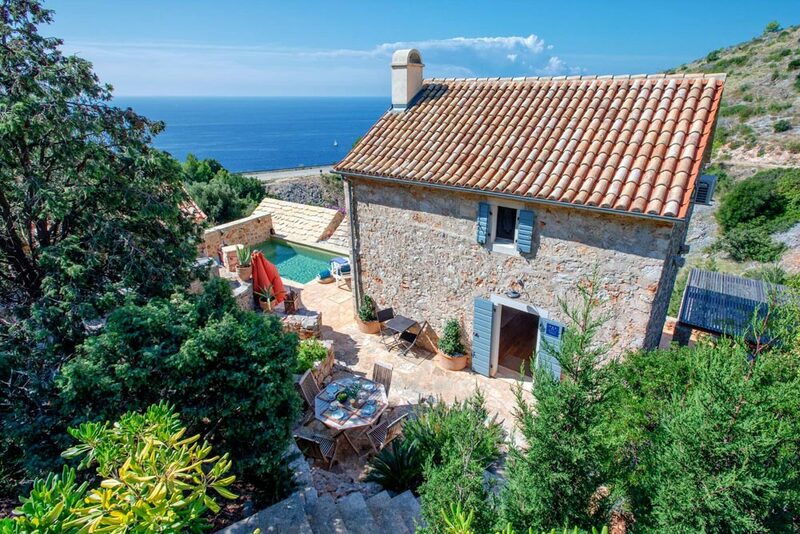 You can discover luxurious holiday villas in the Stari Grad surroundings within Stari Grad’s accommodation offer, and further information can also be found about the luxurious holiday villas here. 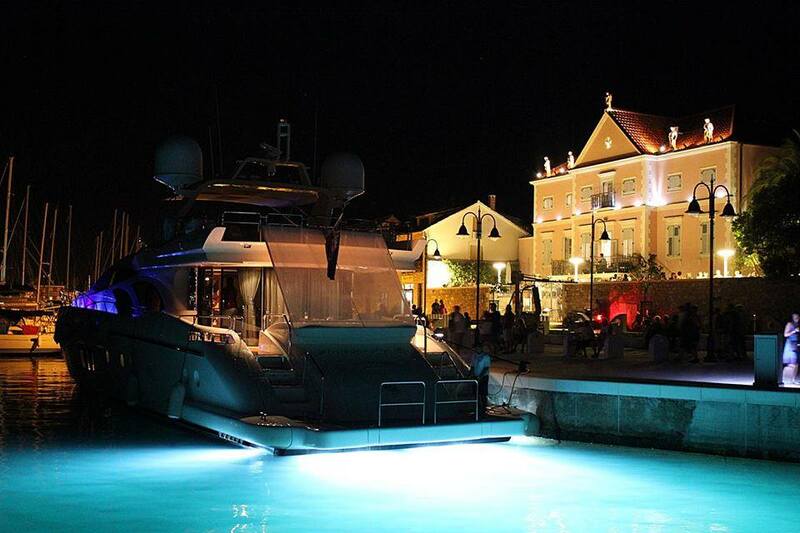 Close to Stari Grad are the villages of Dol, Vrbanj, Rudina and Selca – each of them hosts to guest houses or apartments where you may like to spend your vacation. These villages are situated in the inland part of the central area of the island and offer a real break from hectic city life. 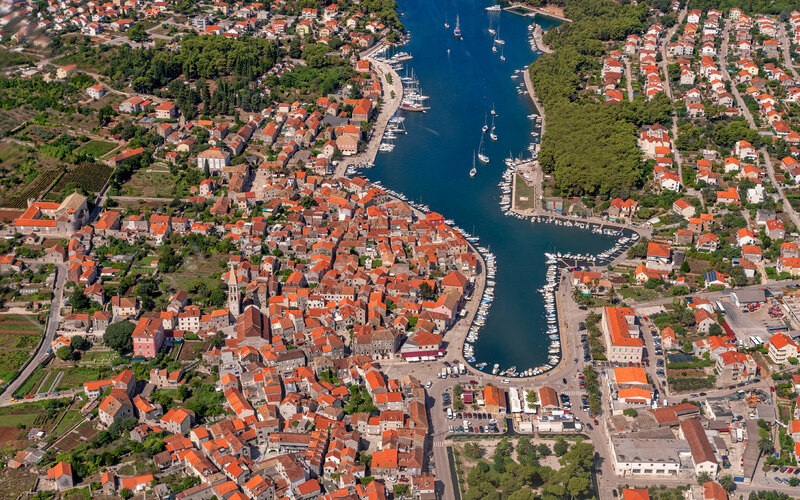 Not far from Stari Grad are the two beautiful inlets of Basina and Mudri Dolac where you can literally find accommodation on the water’s edge. 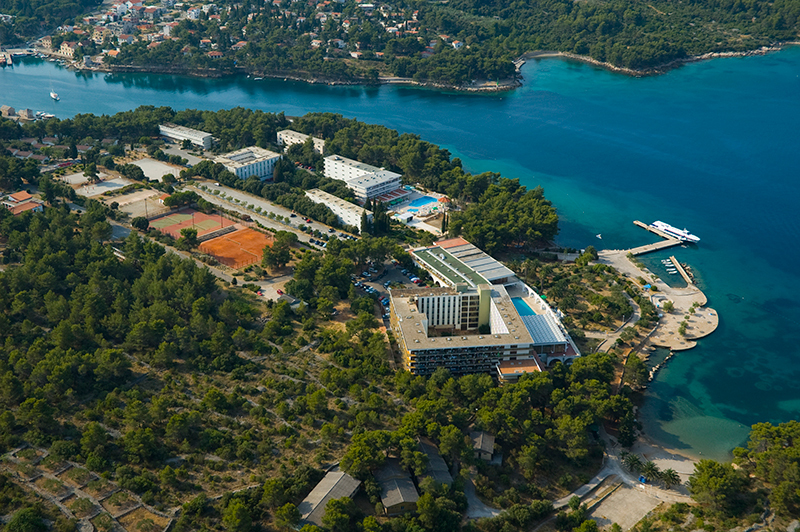 They are just 4 km away from Stari Grad and can offer you guest houses, apartments and camping accommodation. 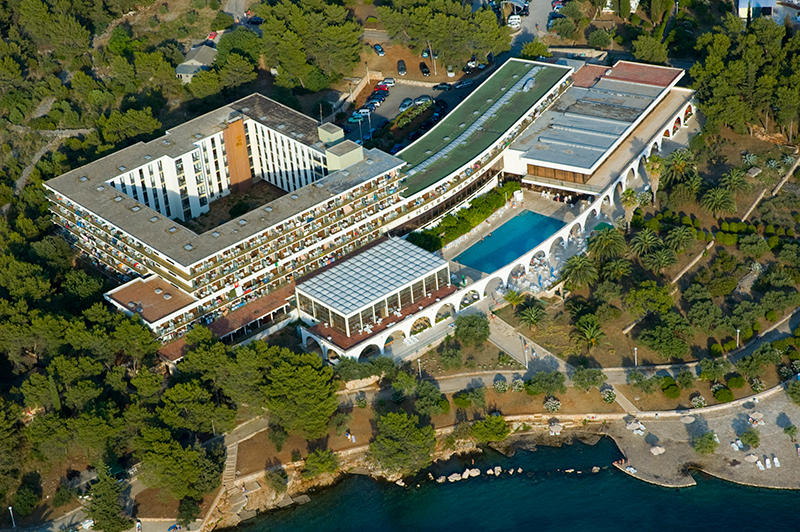 You can book your accommodation in Stari Grad through accommodation booking sites, by contacting the renter directly or by booking directly at the hotel. 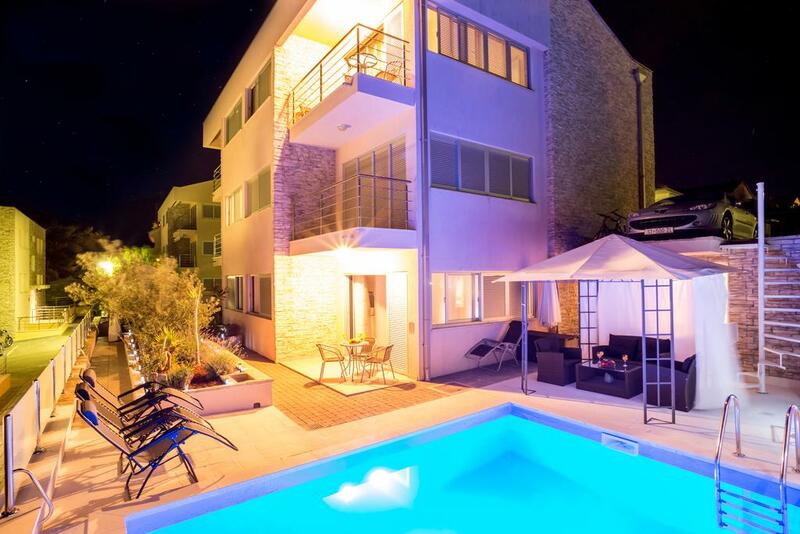 There are also two tourist agencies you can use to book your accommodation and additional services for your stay in Stari Grad - Hvar Touristik and Hvar Unlimited. 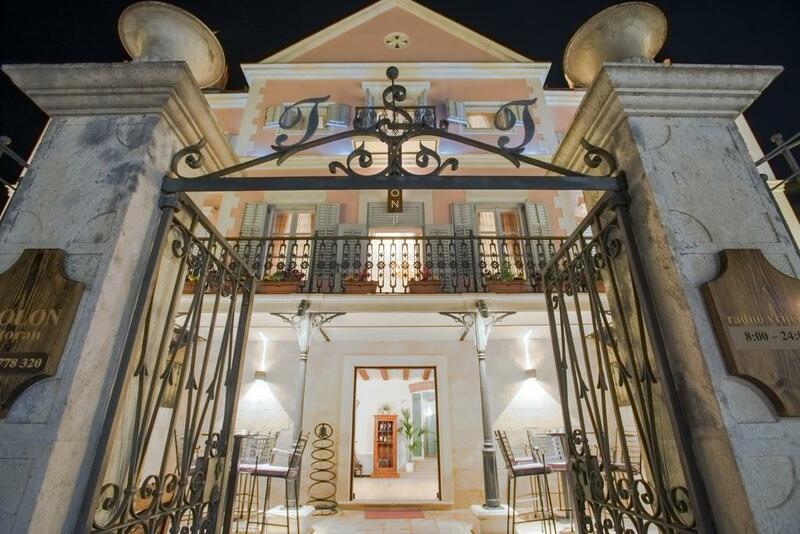 Their offices are located in the centre of Stari Grad and their employees are at your disposal throughout your stay.